Flytographer connects travelers with professional local photographers to capture vacation memories in some of the most picturesque and iconic places around the world. Flytographer is a Canadian-based startup that connects travelers with professional local photographers around the world, providing a hassle-free way to capture vacation memories. Whether you’re going on a family trip, honeymoon or planning a proposal, Flytographer will connect you with one of their professional local photographers for an unforgettable photo shoot. As the first to recognize the trend and need for professional vacation photography services, Flytographer launched in 2013. Since 2013, Flytographer has serviced tens of thousands of customers, built a community of hundreds of local photographers around the world and developed dozens of partnerships with travel industry leaders. Commerce Garage began working with Flytographer in early 2018, and has since helped the company grow their reach and paid media performance on Google search and Facebook. The symbiotic relationship between our companies is helping Flytographer in reach all of projected targets and long-term goals. As a company that draws domestic and international travelers, a specialized and strategic approach to Search advertising was necessary to reach the right audience at the right time. The strategy included optimizing keywords and ads for every stage of the purchase funnel, from generating awareness to booking a photo shoot. All the while strategically bidding on keywords to maintain top ad positions to fend off encroaching competitors. 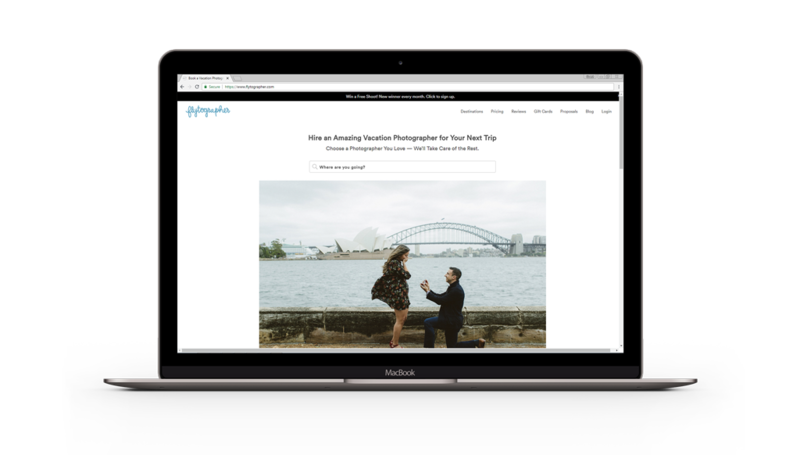 Flytographer’s new customers discover the service via multiple channels including word-of-mouth, organic search, and Facebook advertising. Their buying journey is not always a linear path; some customers book a photo shoot instantly after clicking on an ad, while others may invest additional time to research and browse the site. Facebook advertising proved to be a valuable channel to not only reach new audiences but to also stay on top of mind with retargeting in a buying journey.